Empire Paintball and DerDer are back with a new 250 cal paintball video. This time around, pro paintball player Todd Martinez from LA Infamous shares a few tips and tactics in eliminating the opposing team. 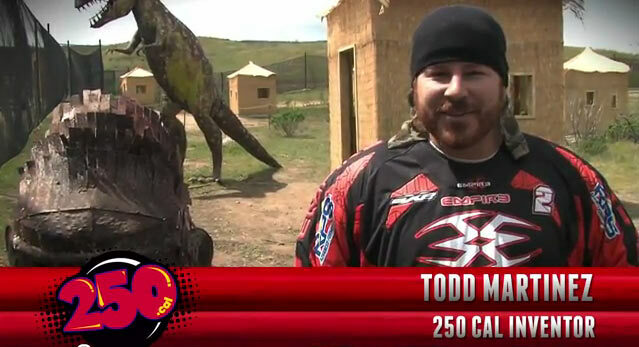 In this 250 Cal video Todd Martinez teaches you how to deal with a player in the snake. With 250 Cal you can take care of not one, but multiple players with strategically placed 250 Cal paintballs. Watch as Todd shows you the way to play 250 Cal.